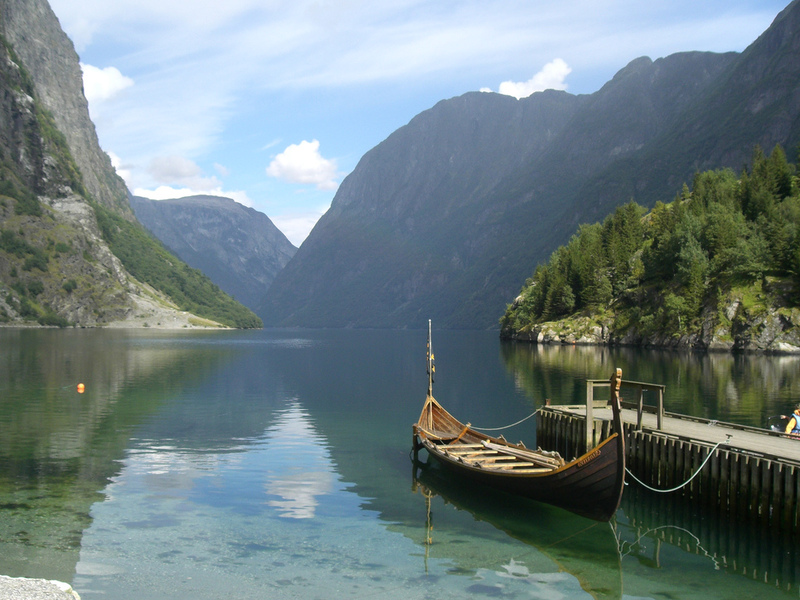 Here are the Top 5 Viking destination to turn your ride in Norway into a theme trip. Norway is famed for its viking heritage. While mostly being portrayed as raving savages who looted, plundered and burnt down the villages they attacked, the vikings were a far more sophisticated culture than the popular culture may have portrayed them as. Besides: Isn’t there a small link between the vikings’ wanderlust in their long ships, and your own lust for adventure on your bike? If you want to learn more of them when you come here, you can ride to these five destinations to see what it all was about. 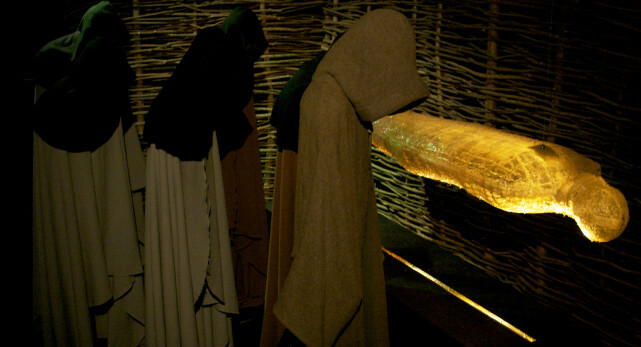 These destinations are put together by Marion Fjelde Larsen, who is the curator of the Lofotr Viking Museum at Borg in the Lofoten Islands, and was originally posted at the visitnorway website. Here’s a route that takes you to the places mentioned in this post. The Viking Ship Museum is located at Bygdøy in Oslo, and is easy to reach. Here, you’ll find the Oseberg ship, a completely whole ship which was excavated from the largest known ship burial in the world. In addition, you will also see the Tune and Gokstad ship, which are also pretty intact. Several artifacts from the viking era is also on display. From Oslo and the Viking Ship Museum, you can head south-westwards to Karmøy and Haugesund. King Harald Fairhair established Norway’s first throne at Avaldsnes after he had conquered all the local Earls and established the country under one throne in 872. You can visit the Vikinggarden to get a flavor of the life in Norway more than 1000 years ago. You can also visit the Nordvegen historical center to learn more of Harald Fairhair, and visit the 800 year old Olavskirken, which is also in the same area. In early June there’s a Viking Festival there too. From Karmøy and Haugesund, we now head northbound, but still on the coast, towards the small village of Gudvangen. The village sits on the banks for Nærøyfjord, which is yet another scenic Norwegian fjord that made it to the UNESCO list. You can buy “viking food” at the market, as well as buy “viking” stuff, but the height would be to row the replica Viking ship they have there. Send us a pic if you get to do it! From Gudvangen, you now head northbound to Nord-Trøndelag County and Stiklestad. 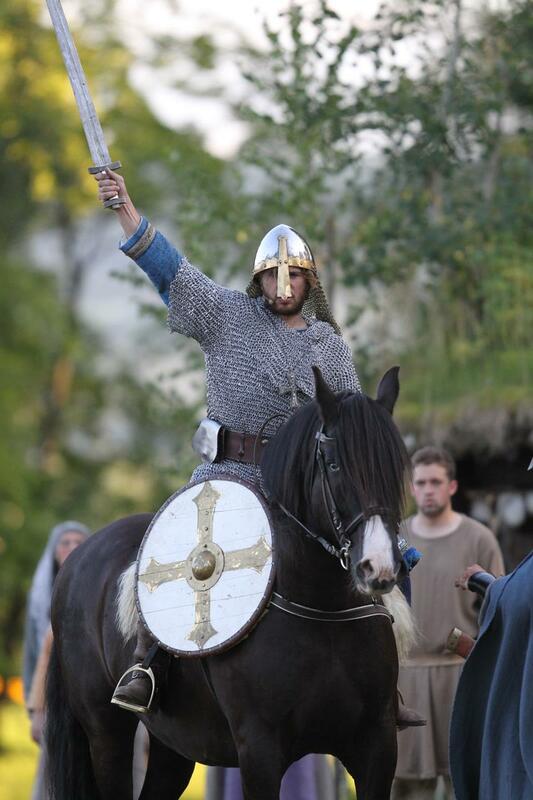 Each year, at the end of July, the St Olav Festival attracts tens of thousands of visitors. You’ll find exhibitions, concerts, seminars, and even the longest running open-air theatre play in Norway – the Battle of Stiklestad where the notorious St Olav was slain – at the largest open-air theatre in Scandinavia. 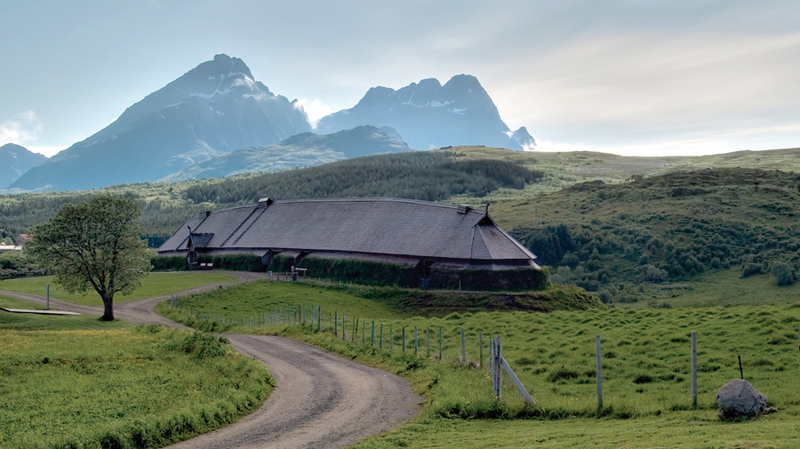 From Stiklestad you head on northwards to the Lofoten Islands and Borg, where you’ll find the Lofotr Viking Museum near Leknes. Here, the remains of the largest known Viking Age longhouse were found. The best part is probably that you may join in the Viking Feast, and be fed proper meat and – above all – proper mead made from honey. When sobering up and being ready again, you can use more time to roam the fantastic Lofoten Islands. But tip 2…. shouldn’t that be “west” or perhaps “southwest” on the ride from Oslo to Haugesund? And although technically not correct in a Viking theme, but not completely off base, why not add a stave-church or two to the route? Røldal is on the way. Gol is another possibility. The route through Gudvangen brings Urnes and the stave-churches in Sogn og Fjordane into the loop…. IOW, lots of options. Of course west. I’ve corrected the typo – thanks! Stave-churces are – well – churches and not so much viking. But they’re great to see, so maybe I’ll put up a Stave-Church Route for those who are interested in very special architecture and history. I am very excited to explore your routes this August! What a great resource you have offered the biking world. Thanks! Thank you for your kind words, and welcome to Norway!